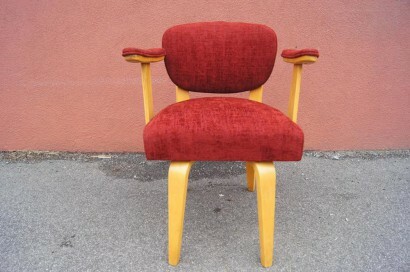 Upholstered in a soft textile in vibrant red, this Thonet armchair is Classic modernist bentwood with a punch. 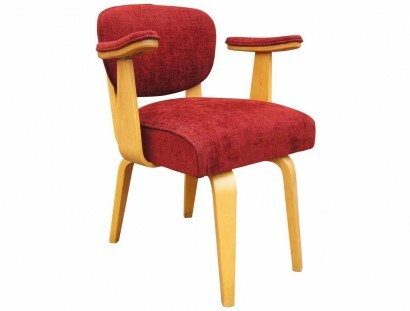 The rounded seat and seat back rise above tapered legs. 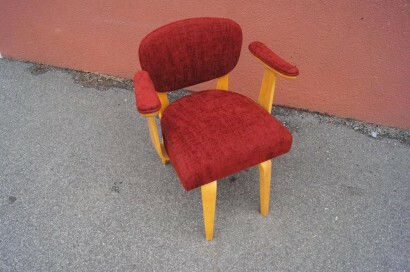 The perky armrests are padded. 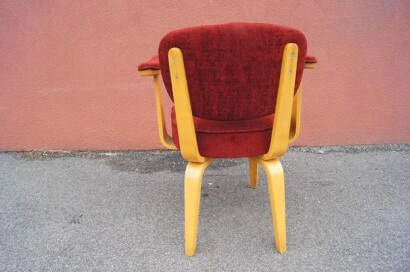 A set of corresponding armchairs and a side chair are also available.